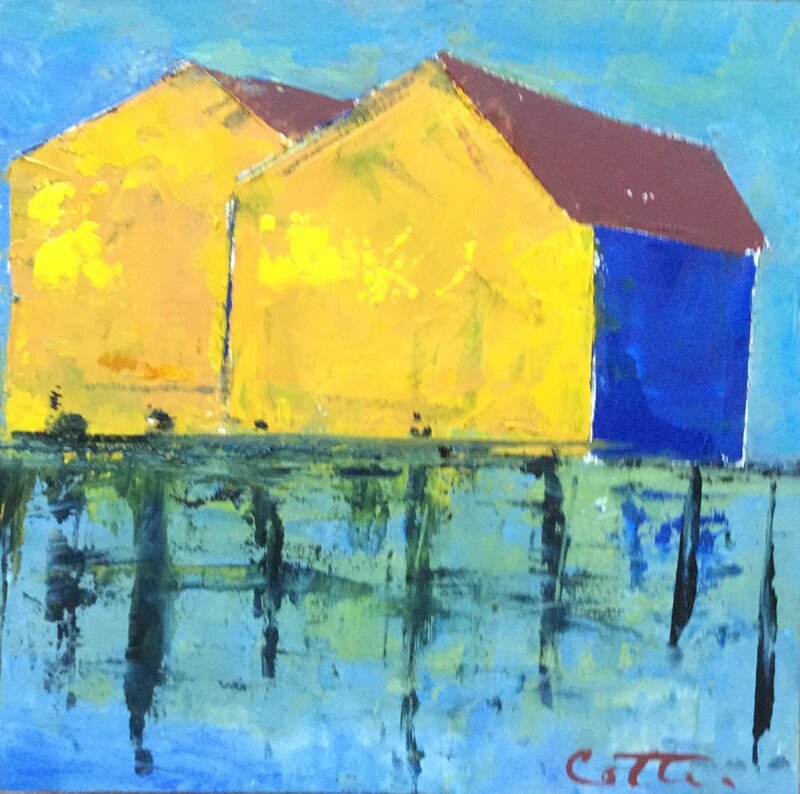 KATHY COTTER IS A SELF TAUGHT PAINTER LIVING AND WORKING IN PROVINCETOWN, MASS. 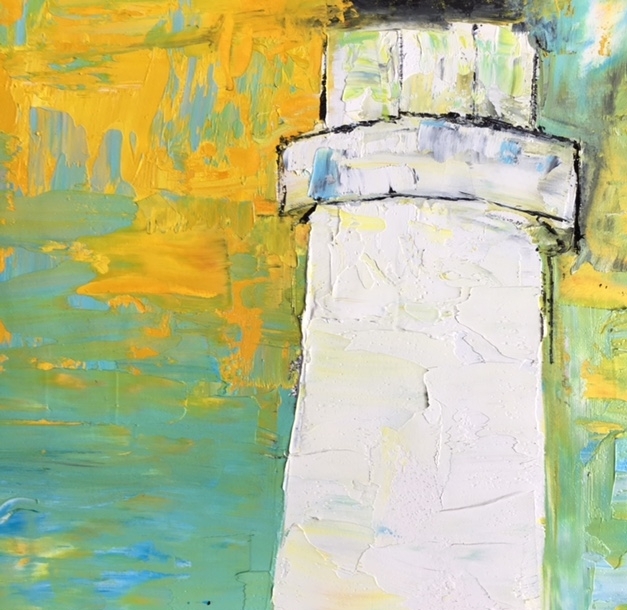 THE PARTICULAR BEAUTY, SETTING AND CHARACTER OF THE OUTER CAPE HAS INFORMED HER AESTHETIC AND HAS BEEN A BASIS FOR HER PAINTING STYLE AND INTERPRETATION OF SUBJECT. 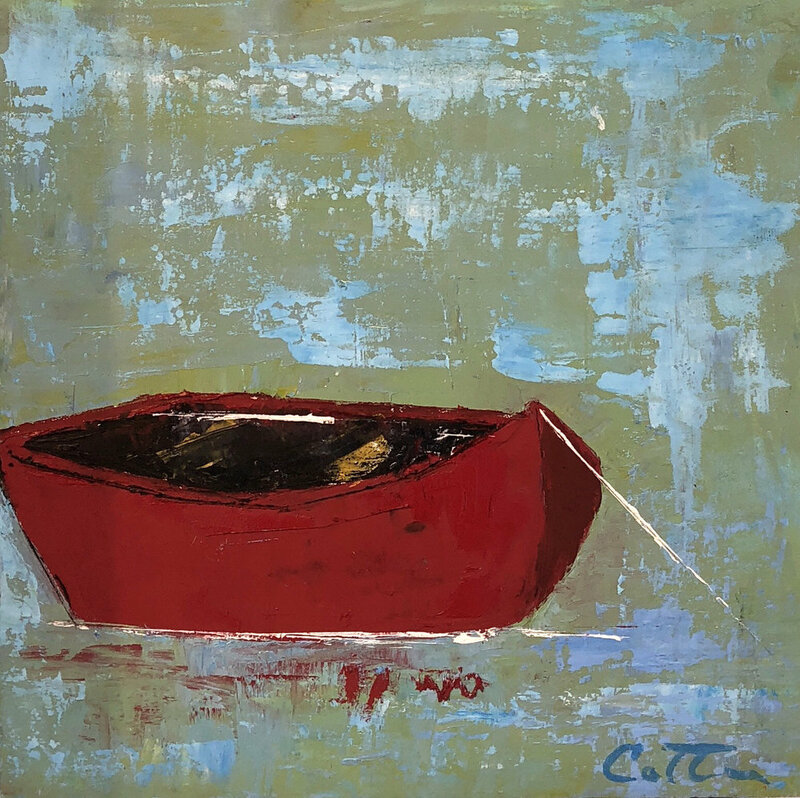 COTTER HAS DEVELOPED AVIBRANT AND PERSONAL TAKE ON THE MARRIAGE OF ENCAUSTIC PAINTING, COLLAGED ELEMENTS, AND TRADITIONAL OIL TECHNIQUE. 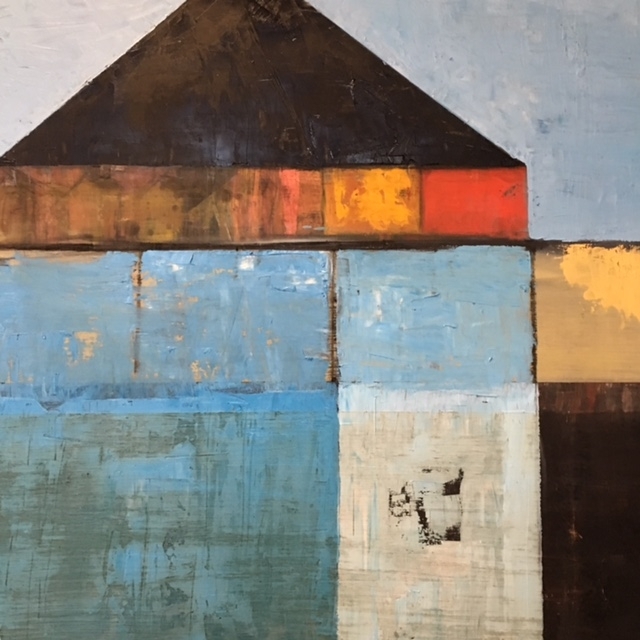 SHE HAS HAD GALLERY REPRESENTATION SINCE 2007 AND BEEN A PART OF MANY GROUP AND JURIED SHOWS. HER WORKS ARE IN PRIVATE COLLECTIONS THROUGHOUT THE US AND BEYOND. Cotter has teamed up with Michael Tonello of (tap here for website) RESPOKE to bring art and function in a dance of painting and footwork. 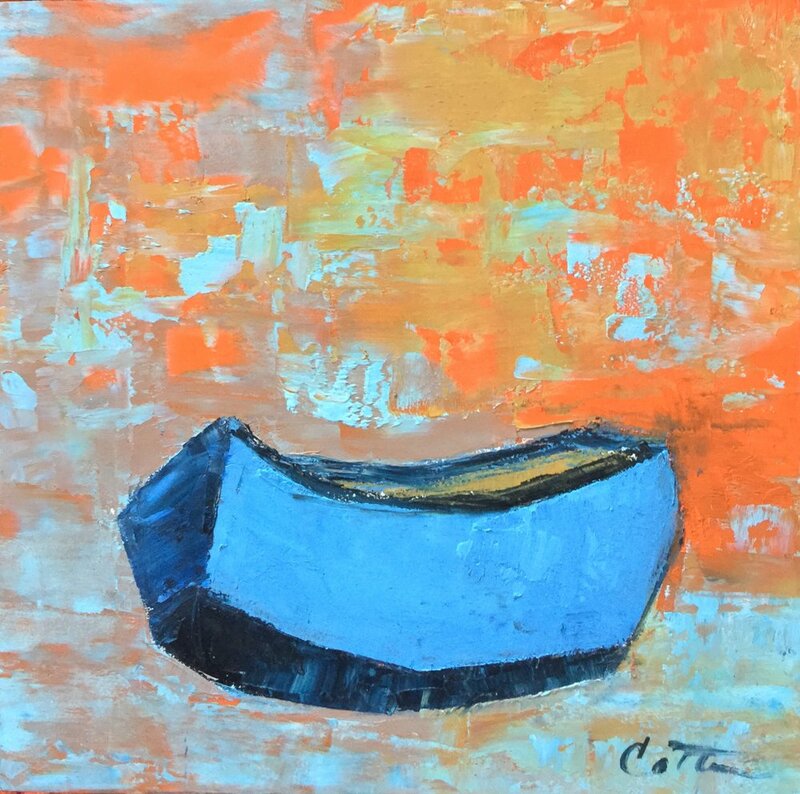 The ancient espadrille has met recycle using treasured Hermes scarves and Cotter has translated the idea into paintings that put the shoes on feet, and away they go. SOLD | SPLASH 9" x 12"
SOLD | DUET 9" x 12"
SOLD | MORIKAMI I, 12" x 16"
MORIKAMI II, 12" x 16"
TRIO 2, 9" x 12"
SOLD | THREE EYED JACK 1, 24" x 20"
THREE EYED JACK II, 24" x 20"
SKIPJACK SERIES, 9" x 12"
TRIO 1, 9" x 12"
SCHOOLIES SERIES 1–10, 6" x 12"